Iowa is a no-fault divorce jurisdiction. 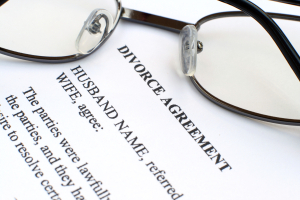 Therefore the only prerequisite to a divorce proceeding is that the parties to the marriage allege that there has been a breakdown of the marriage relationship to the extent that the legitimate objects of matrimony have been destroyed and there remains no reasonable likelihood that the marriage can be preserved. An uncontested divorce is the most timely and cost-effective way to dissolve a marriage. To obtain an uncontested divorce, both spouses must be in agreement on all major issues including property division, alimony, child support, custody and visitation. When spouses cannot agree on any one of the terms of their divorce, litigation becomes necessary. We will guide you through this difficult process and time in your life while at the same time zealously advocating in your interest.